Nutrition plays a vital role in self-care. 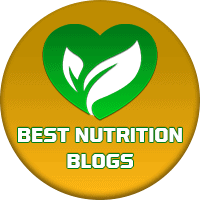 Whether good nutrition is a priority now or if you’re just in the beginning stages of eating well, you’ll appreciate the information these nutrition blogs provide. Get answers to common questions, learn about the world’s healthiest foods, find healthy recipes to try, and improve your health as your knowledge grows by leaps and bounds. Ready to dig in? Our guide to the top 21 nutrition blogs will help you take your healthy eating plan to the next level. Offering insight into issues such as weight loss, the importance of eating less sugar, and much more, Hearty Nutrition is also a great source for inspiring recipes designed to promote great health while pleasing the palate. 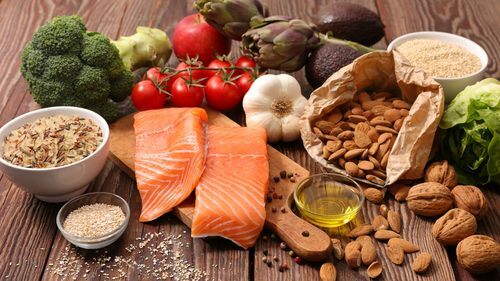 Written by Accredited Practicing Dietician Joel Feren, who is also a self-described foodie, this outstanding nutrition blog promotes a greater understanding of men’s health and men’s nutrition. It’s not just for men though: Among the many topics covered, there are special sections for those who want to follow a gluten-free diet, as well as for those who want to reap the significant benefits associated with vegan and vegetarian diets. Healthy recipes for favorite treats like pumpkin spice muffins and tempting fudge brownies made with sweet potatoes are just the beginning. Andy the RD is a registered dietitian with many interests and a strong desire to help others achieve better health with delicious, satisfying choices. Besides some deep insight into nutrition, sports nutrition, and weight loss, Andy the RD covers recent nutrition news topics and much more. If you want to enjoy spa cuisine at home, transform some favorite comfort foods, or learn to take your salads to the next level, be sure to visit Feel Well Food. This award-winning nutrition blog is written by professional cook and dietitian Dorothy Krupnick, who is also author of A Connecticut Kitchen. Besides offering beautiful images and recipes to inspire healthy eating, Feel Well Food is packed with interesting food facts. In her award-winning nutrition blog The Balanced Life, author Anna Cortesi focuses on ways to enhance life by eating mindfully, reducing stress, and embracing self-care with new vigor. An excellent source of insight into a wide variety of nutrition-related topics, The Balanced Life provides reliable weight loss advice, inspirational interviews, healthy, delicious recipes, and much more. Presented in a crisp, easy-to-navigate format, this blog is an absolute pleasure to read. Nutrition in Recovery focuses on nutrition therapy for those who are working through addiction, as well as those who are recovering from eating disorders, plus it provides nutrition news everyone can use. This blog is beautifully designed, and what’s more, it is chock-full of helpful information on a variety of topics that range from body image to mental health to exercise. The food we eat has a major impact on all aspects of life. Thanks to Nutrition in Recovery, people everywhere are building knowledge and living better. Simple recipes that focus on real foods, tips for building healthy, happy families, and all-natural products lie at the heart of 1 2 3 Nourish Me. Surprising treats like chocolate tartlets and raspberry ice cream are found side-by-side with savory delights such as garlic flatbread and healthy sweet potato mac and cheese. A special section focuses on healthy kids, and you’ll find a selection of books from author Alisa Latto here, too. If you’ve got a family, then this award-winning nutrition blog is a must read! Written with college students, performers, healthcare professionals, and people working their way through eating disorders in mind, Not Your Average Nutritionist offers nutritional counseling, health coaching, and more. Webinars and online courses help participants build healthy habits instead of restricting their intake, and written articles provide wonderful insight everyone can use to create a healthier relationship with food. If you’ve dabbled in the Paleo diet at all, then you’ve probably come across Nom Nom Paleo! This highly acclaimed nutrition blog has won several awards over the years, and it’s an excellent resource for anyone who wants to enjoy life the Paleo way. Crammed with exciting paleo recipes, meal plans that make it easier to follow the lifestyle, and a whole lot more, it’s a “must visit” blog. With books, cookbooks, and a fantastic podcast, Nom Nom Paleo is an outstanding source of inspiration for anyone who wants to ditch processed foods and enjoy a better way of eating. Authored by Dietician Nutritionist Mckel Hill, Nutrition Stripped is a vast resource for better living, with whole food recipes, wellness tips, and an entire section devoted to natural beauty. You’ll find workout playlists here too, along with meal planning guides, ebooks, and more. What you won’t find here are fads, pseudoscience, or crazy diets: one of the blog’s chief aims is to provide solid nutrition information in a user-friendly way. Dig right in! The photos and content are top-notch. New and experienced vegans alike appreciate Healthy Happy Life by cookbook author Kathy Patalsky. This exquisite nutrition blog is jam-packed with beautiful plant-based recipes, and it offers an emphasis on whole foods designed to satisfy hunger while pleasing even the pickiest palate. How-to videos, vegan food reviews, and a vegan travel guide add even more value to this incredible blog. A quick side note – you don’t have to be vegan to visit! A huge assortment of plant-based treats and savory delights make Healthy Happy Life an outstanding resource for anyone who’s interested in eating better. Homemade pizza? Decadent-looking cakes and rolls? The Almond Eater makes healthier eating appear effortless. A fantastic blog worth visiting solely on merit of its incredible food photography, it’s an outstanding source for original seasonal recipes and new takes on old favorites. No one is excluded: The Almond Eater offers vegan recipes as well as those crafted with omnivores in mind, and there are gluten-free treats, Whole 30 recipes, and Paleo treasures to be found here as well. Authored by Registered Dieticians and best friends Wendy and Jess, Food Heaven Made Easy offers a wealth of nutrition advice, healthy meal plans, and fantastic vegetarian and vegan recipes. A fun-loving duo, Wendy and Jess make good health appear effortless, plus they provide inspiration on the go with a fantastic podcast. Both authors are working dieticians with plenty of real-world experience – and if that’s not quite enough to inspire a visit, their blog is beautifully photographed. Whether you’re looking for an incredible butternut squash recipe, salad in a jar, or new ways to make tofu, you’ll find them – and much more – at Food Heaven Made Easy. Much more than a simple nutrition blog, Elephant Journal promotes mindfulness in all aspects of life. Looking for easy ways to incorporate Ayurveda into your life? Want to understand emotions better? Want to find new music to fall in love with? Elephant Journal covers these topics and many more in a vast, exquisitely curated blog that might just become one of your favorites. Subscribe to daily updates if you’re in search of entertaining tidbits to read. Elephant Journal blog entries are kind of like pretty chocolates: you never know just what to expect. Fitness tips? Check. Incredible recipes? Check. 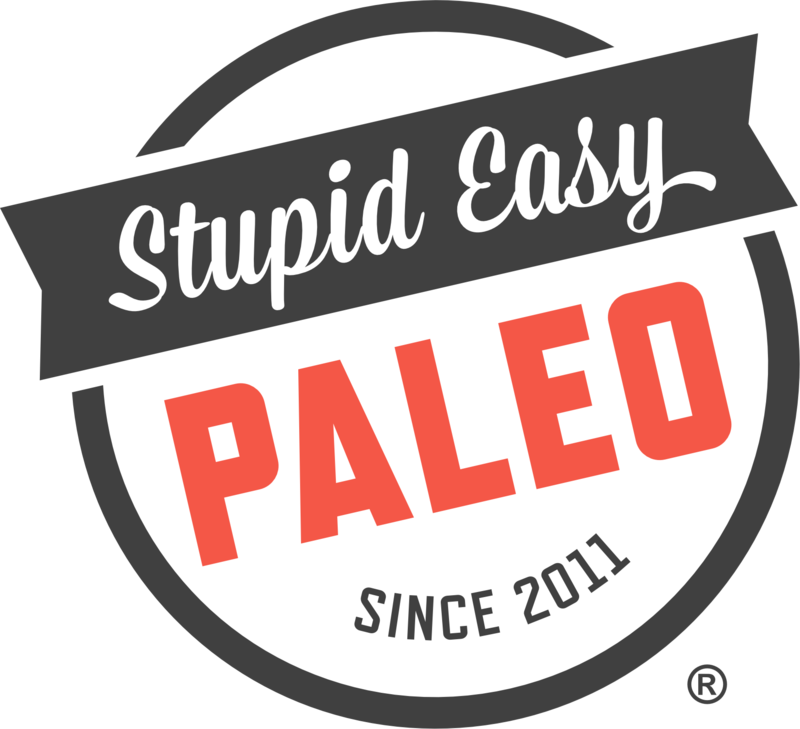 Stupid Easy Paleo is a vast source of information and inspiration, with a strong focus on finding emotional freedom and mental healing. If you long for greater energy, a stronger, healthier body, and a mindset that can take you places you never imagined, then take a quick trip to Stupid Easy Paleo. You’ll be glad you came. Nutrition is just the tip of the iceberg at Domesticate Me. 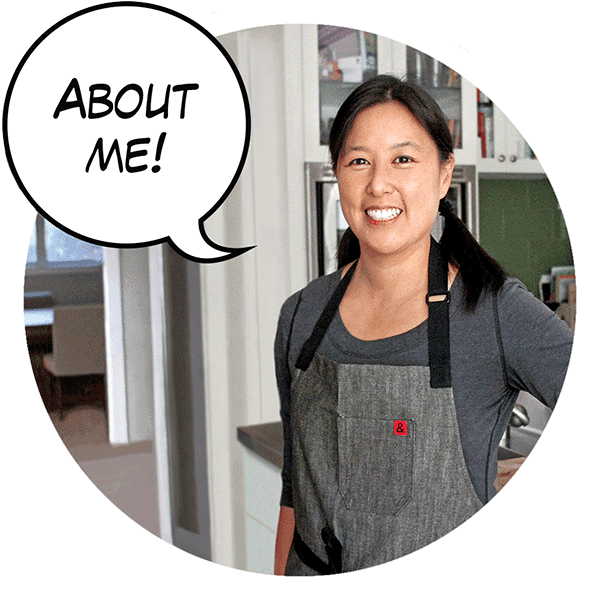 Offering insightful posts on a wide variety of topics, it’s authored by chef, culinary instructor, and recipe developer (among other things) Serena Wolf. Given the author’s love affair with healthy food for both humans and pets, it’s no surprise that this beautiful blog offers tons of recipes you’ll want to try right away. Arranged for ease of access, Domesticate Me features a robust recipe finder that lets you search by season, ingredient, or meal. Take a peek! Winner of the coveted Saveur Annual Best Food Blog award, Green Kitchen Stories offers a strong focus on nutrition while presenting a vast variety of healthy vegetarian recipes. Beautifully presented and incredibly colorful, it features a recipe index that helps readers find what they’re looking for fast. Green Kitchen Stories has produced its own apps too, making it even more convenient to enjoy healthy food in a few clicks. Want to balance your thyroid? Improve your relationship with your hormones? Get started with essential oils? 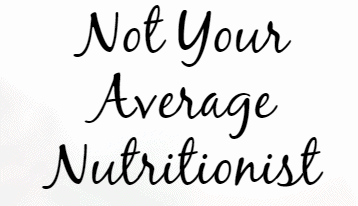 Jennifer Leigh’s Medical Nutrition offers insight into these topics and more. While there aren’t many recipes here, there’s an excellent detox to try, nutrition coaching to take advantage of, and even a complete thyroid makeover. A unique, award-winning nutrition blog designed with the needs of active people in mind, Fit to Eat focuses on providing valuable, in-depth information. Whether you’re longing to break free from an addiction to junk food, reduce your sugar intake, or learn more about some of your favorite healthy foods, you’ll find a wealth of information inside. Learn how to use nutrition to improve every aspect of life with Kristen Yarker. Whether you need inspiration for adding more vegetables to your daily routine or a little bit of help convincing picky kids to choose healthy options, this is a great place to get it. You’ll find lots of delicious, nutritious recipe ideas here too, along with tips for packing healthy kids’ lunches and much, much more. There’s a strong focus on special dietary needs, making vegan, gluten-free, and paleo choices easy to find. Brought to you by Registered Dietitian and Life Coach Corrine Dobbas, this well-rounded blog is sure to help you add enjoyment to everyday life. Not only will you find great nutrition advice inside, you’ll also learn how to jump off the diet rollercoaster for good, enjoy better relationships, and finally come to accept and love yourself. Beautifully written and certain to help you dig deep inside yourself, this insightful blog incorporates helpful exercises, promotes self-care, and provides inspiration to become the person you truly long to be. Simple, delicious recipes made with real food are at the heart of Mark Bittman’s blog. A prolific cookbook author with plenty to offer vegetarians and omnivores alike, Mark has written 20 books including Food Matters, The Kitchen Matrix, and the entire How to Cook Everything series. Besides insightful posts that include some incredible cooking tips, this robust blog features plenty of eye candy – gorgeous photos, and insightful videos will inspire you to elevate your culinary game. This is a very helpful list. Healthis my main priority. Thank you for sharing it with us.